$1399$13 and 99 cents$3.68 / oz. $799$7 and 99 cents$1.52 / oz. $999$9 and 99 cents$2.63 / oz. 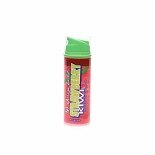 Shop ID Juicy Lube Flavored Water Based Lubricating Gel Bubblegum Blast (3.8 oz. )3.8 oz.